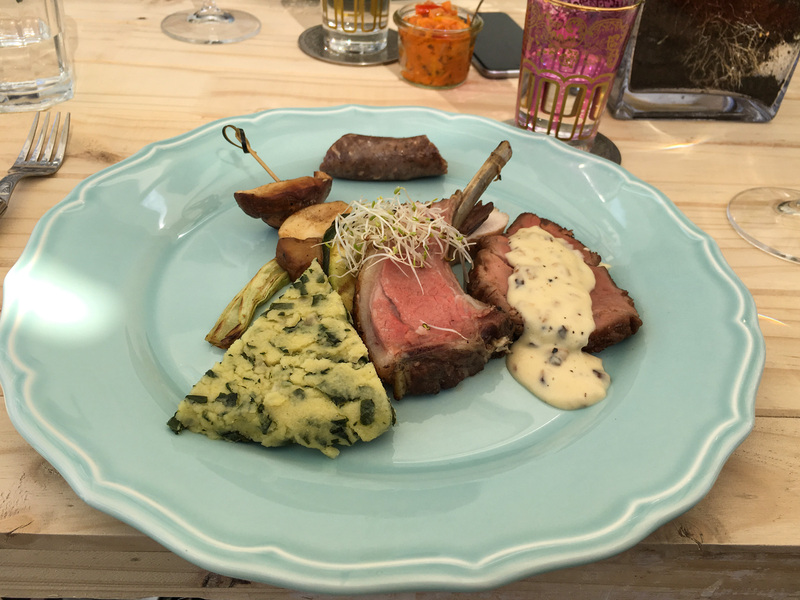 The most exciting food in Cape Town isn't exactly in Cape Town. Drive thirty kilometers outside of the city center to Khayelitsha, a township where storefronts are handed-painted and few in number. In fact, you won’t find 4Roomed’s fine dining restaurant eKasi unless you’re looking for it, and you should be. 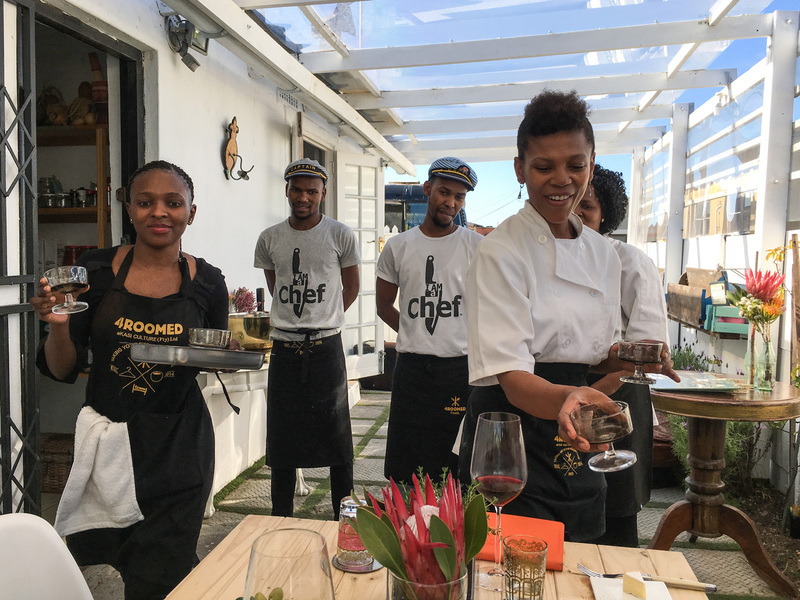 Abigail Mbalo is serving some of the best, most ambitious food in the region, in one of the most striking settings—the lush, renovated driveway of a township home, surrounded by plants and local art and the clomping of kids running up the driveway to catch glimpses of what’s going on. 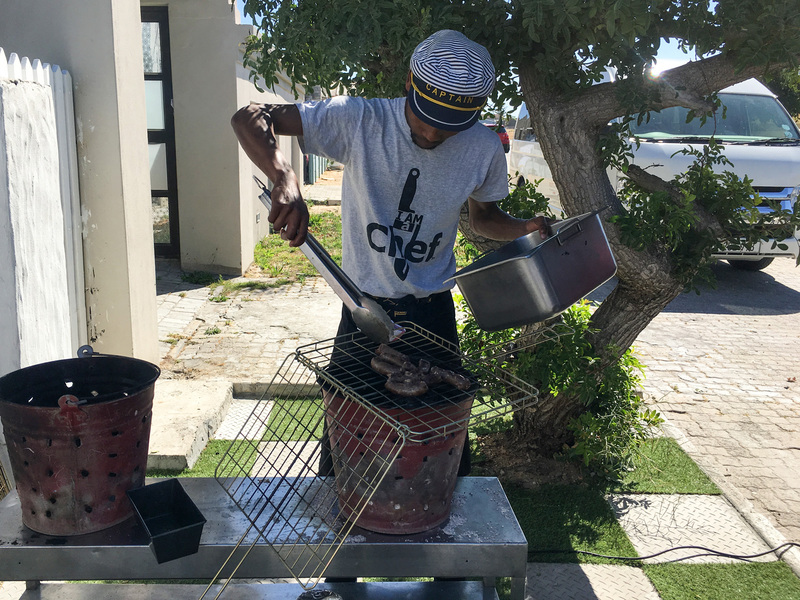 “My husband said, ‘You know whenever we go to the township, you always observe how people eat shsisanyama and alcoholic beverages and that’s it—no other options,’” she says. Shsisanyama, for the uninitiated, is a barbecued mix grill that’s popular in the townships, and Mbalo decided to serve a reimagined version, with sous-vided-then-grilled beef fillet, sausage, lamb cutlet and smoked chicken breast served alongside grilled vegetables, charred leaks and house-made BBQ and chakalaka sauce. It’s spectacular. Other menu highlights include the “Native Yards Backyard,” a lovely plate of creamy butternut pap with truffle oil, fragrant tomato sauce and micro herbs, and the hyper-local Raw Bowl (“Grazing from the Garden! !”), composed of dune spinach, nasturtiums, radish salad, pickled rainbow carrot ribbons and an orange gel. During the tasting menu, it’s not uncommon for one shy young girl to run up the driveway to the table—and there is just one table, immaculately set with colorful plates and serving dishes crafted by a local ceramics-maker—to catch the action. Mbalo says the girl reminds her of herself when she was younger. Customers consist of roughly 30 percent locals and 70 percent tourists, which Mbalo loves. (There are some township “eating experiences” where it’s only tourists, and others where, of course, it's only locals.) Putting aside the high-caliber of cuisine, 4Roomed’s sense of purpose invigorates the whole dining experience. Having grown up during apartheid, Mbalo is committed to “extracting what was good that happened at that time.” It’s not always easy. As a child she would see chaos and devastation on the street. “But when you came inside the house, you wouldn’t tell,” Mbalo says. “At night, every room was a bedroom. The kitchen, the lounge—I thought that was normal. We had so much joy: cousins, aunts, everyone living in the same household. But now … people are starting to move out, get their own places, they can afford this, afford that—or they come back and build a house and take up all this space and there’s no more backyard.” When Mbalo was a child, every house had a fruit tree, so she knows that the soil here is rich. She wants to see more fruit trees and herb gardens in her neighborhood, and she wants to remind people what was beautiful about the four-roomed home. With food as spectacular as this, it’s an easy sell.